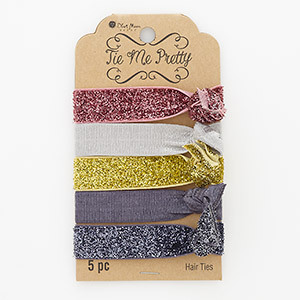 Hair tie, stretch, elastic, multicolored, 16mm wide with tie knot and sparkle, 5-1/2 inches. Sold per pkg of 5. 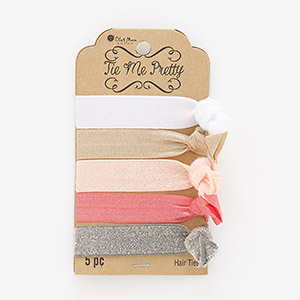 Hair tie, elastic, mixed colors, 15mm wide with tie closure, 5-1/2 inches. Sold per pkg of 5. 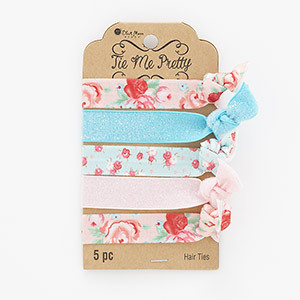 Hair tie, stretch, elastic, multicolored, 15mm wide with flower and leaves design and sparkle, 5-1/2 inches. Sold per pkg of 5. 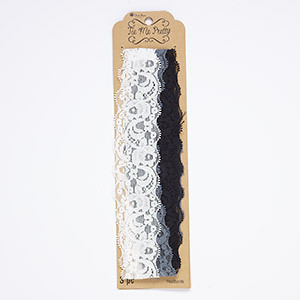 Headband mix, lace, white / grey / black, 39mm wide, 17-1/2 inches. Sold per pkg of 3. 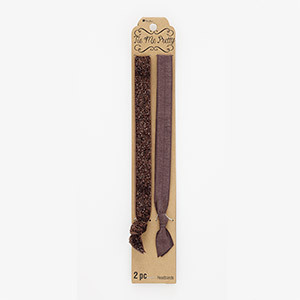 Headband, stretch, elastic, brown, 16mm wide with tie knot and sparkle, 15 inches. Sold per pkg of 2. 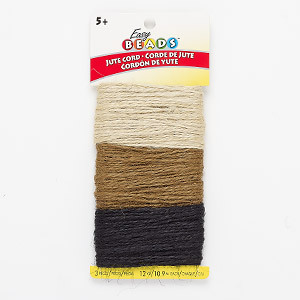 Cord mix, Easy Beads, jute, tan / brown / black, 1-2mm wide. Sold per pkg of 12 yards.